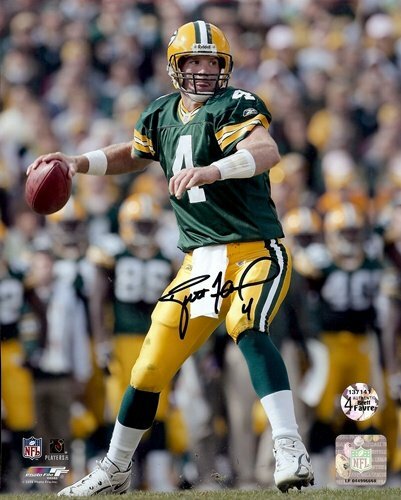 Home / Sports / NFL / Brett Favre Autographed/Signed Green Bay Packers 16×20 NFL Photo "Action Shot"
Brett Favre Autographed/Signed Green Bay Packers 16×20 NFL Photo "Action Shot"
A GREEN BAY PACKERS 16X20 PHOTO HAND SIGNED BY LEGENDARY QUARTERBACK BRETT FAVRE. 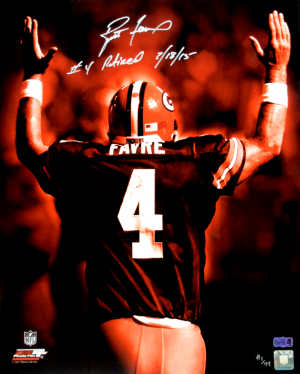 THE PHOTO AND THE SIGNATURE ARE IN MINT CONDITION. 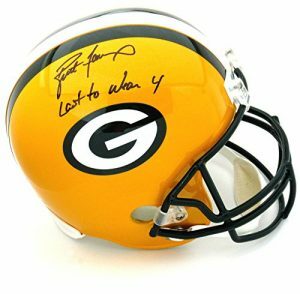 BRETT IS A SUPER BOWL CHAMPION 11X PRO BOWLER 3X NFL MVP AND FUTURE HALL OF FAMER! 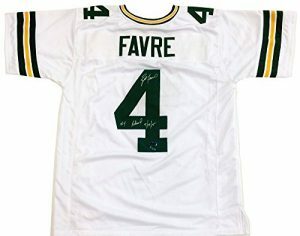 DON’T MISS OUT ON THIS EXQUISITE PIECE! 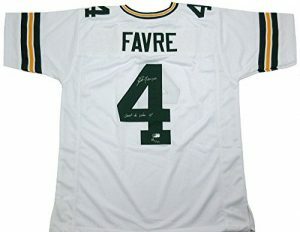 IT IS A MUST HAVE FOR ANY FOOTBALL FAN! 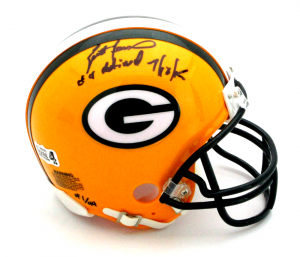 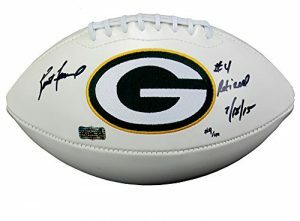 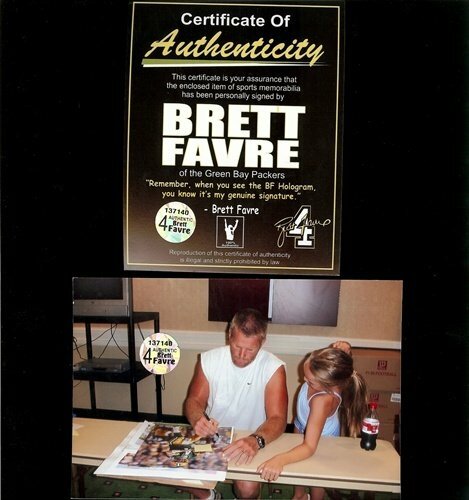 AUTHENTICATION: THE PHOTO COMES WITH A BRETT FAVRE CERTIFICATE OF AUTHENTICITY MATCHING SERIAL NUMBERED HOLOGRAMS AND A PICTURE OF BRETT FROM THE SIGNING.